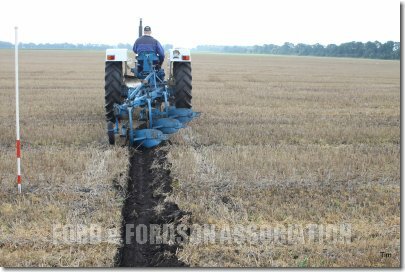 The day started with thick fog so some ploughman had trouble to find the plouhgingfields. 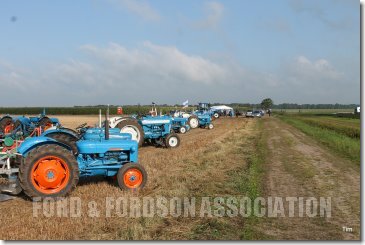 About 9.00am the sun shone and started to drive the fog away, the sun was shinning for the rest of the day. 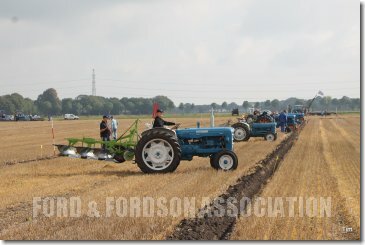 Some thirty ploughman came & entered this Ploughing event. 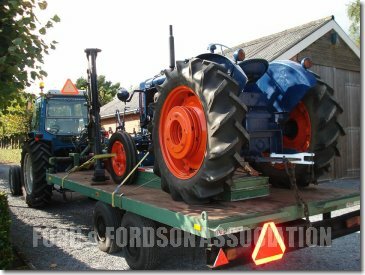 Some by transport of lorries & trailers, some on there own power and that on a tractor with no cab its a bit chilly. 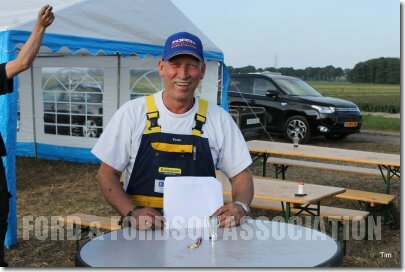 After koffie and cake they sign the list and draw there plots, number thirteen was not pleased with his number. 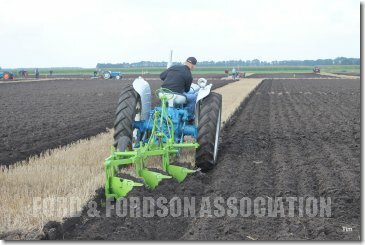 About 10.30am they had there instrucions and took off to there plots. 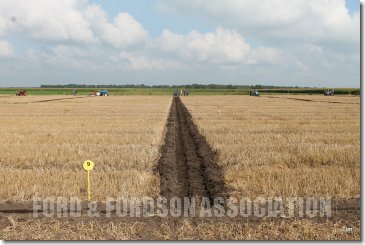 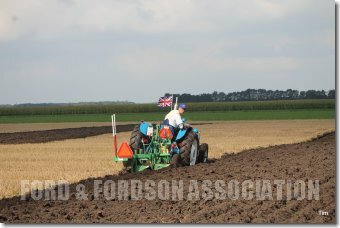 11.00am the ploughingmatch started with the opening furrow. 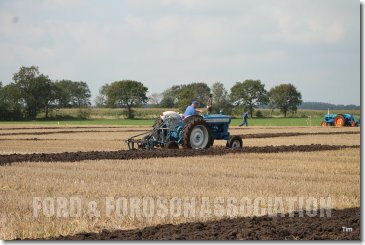 The jurry went round and the ploughman took time for lunch. 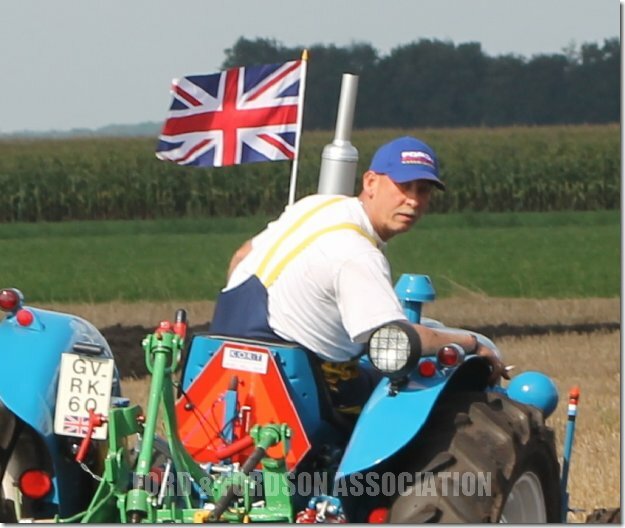 When the jury gave the green light the flag went up again and they continue ploughing. 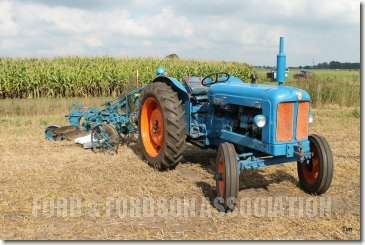 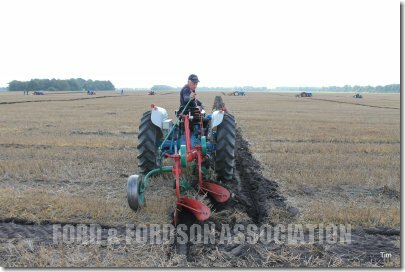 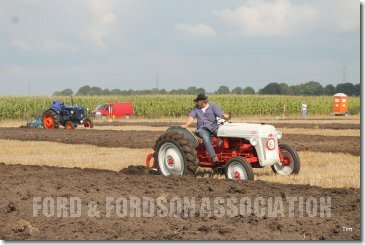 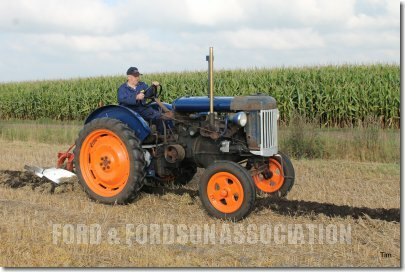 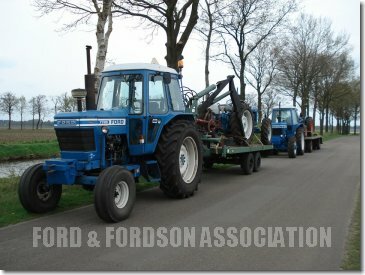 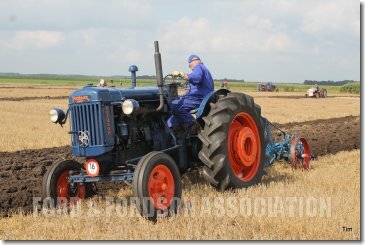 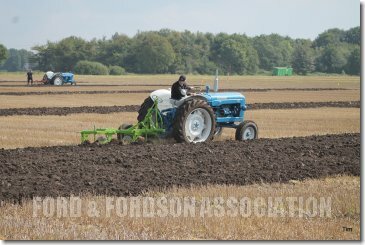 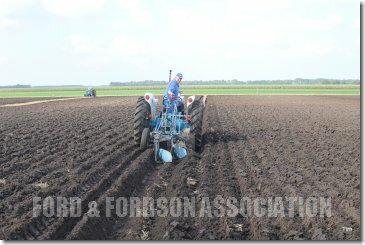 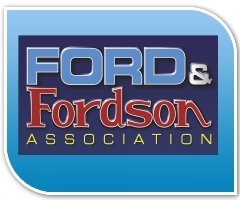 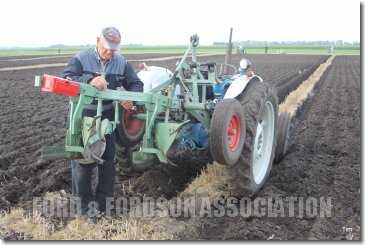 The guys put up a serious battle keeping an eye on the other plots it was a great sight to see all the Ford & Fordson's tractors working in one field. 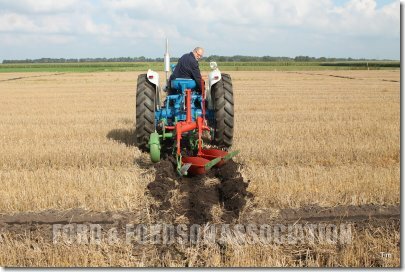 When the last ploughman finish his plot and the tractors where loading up the jury made the last rond and came to a decision and thy point out the winners. 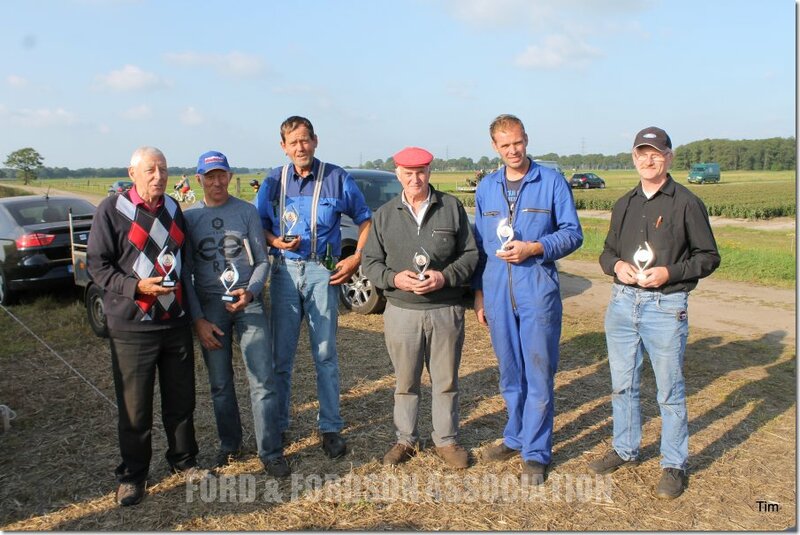 Rienko Koburg receives an award from his brother because he has never won a prize. 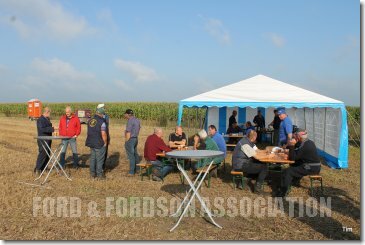 Food and drinks where donated by the local pub. 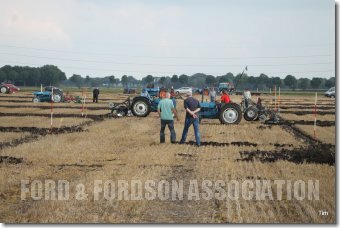 We all had a great day and hope to see you all next year. 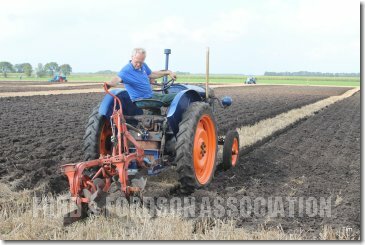 "Thank you" Gerard for organising a Great Ploughing Match.